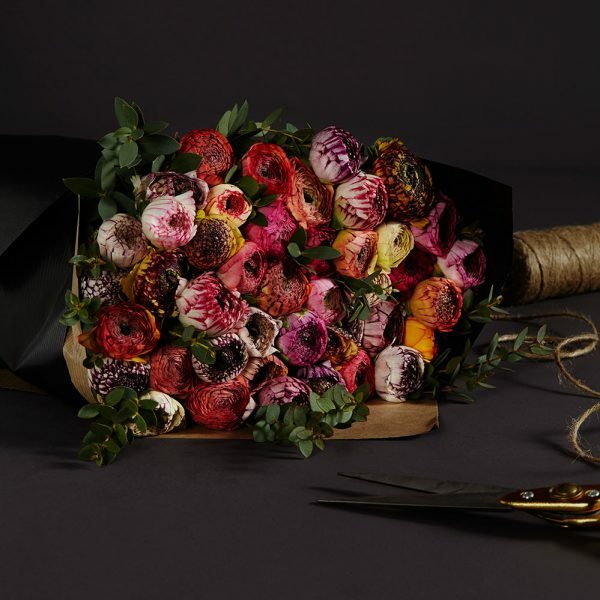 Celebrate spring with these fabulously cheerful and delicate mixed coloured ranunculus, wrapped in our signature Kraft paper and ready for you to arrange at home. 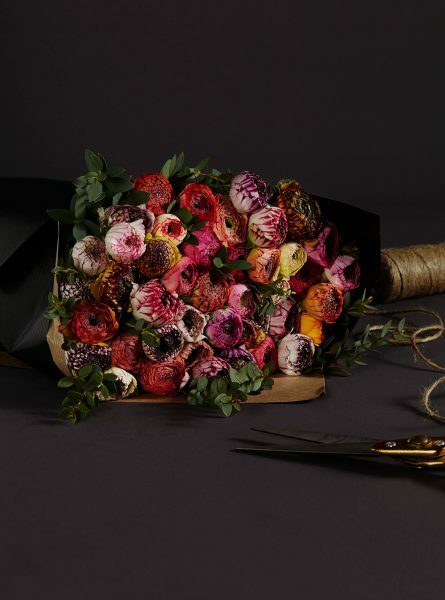 Each bunch is packed with seasonal foliage to add texture and fragrance. To display, simply pop your fresh flowers into a chic glass vase or ceramic pot for an instant design that will provide ongoing joy and delight to any space. Approximately 25 flower stems in the medium & 50 flower stems in the large will feature in our bunches of mixed coloured ranunculus. Image shows large sized bunch.